I've built a diy dragon's lair scoreboard (like this one http://www.penguincentral.com/retrocomp ... board.html) and I'm having problems. In general it is functional - it sort of resets when Daphne starts, it generally updates coins, lives, and scores. However there are a few consistent issues. I think I've narrowed it down somewhere around the parallel port. Either the wiring is wrong, the connector is bad(? ), or some software configuration issue. I've actually built the board THREE TIMES with 2 sets of components and the issues are always the same. 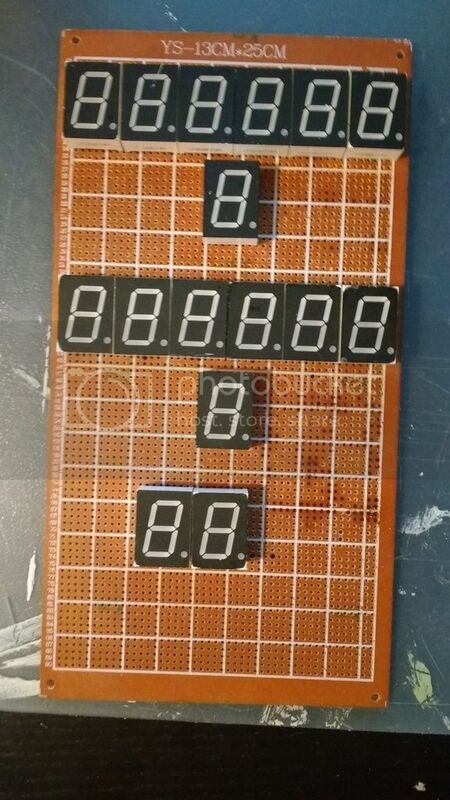 1) LEDs 9,13 and 15 (numbering based on the schematics) seem to be stuck showing the same thing. I'm using the latest version of Daphne on an old (Pentium M) Windows XP laptop. But I've also tested on a modern Windows 10 PC. How did you get it working with Windows 10 with USB support? I didn't. I used the parallel port. I've got one of those atom mini-itx motherboards which still have parallel and serial ports. This all sounds like flaws in your connections. The flickering is a power issue. I just built a couple of these just to see if i could do it. I had to check and recheck my traces, if the same issue is happening, you must be building it incorrectly. It's going to be hard to help you, as I can't physically see your connections to the led and the icm7218d's. Are you running external power to the board? Yes I use external power - I've used a 2A USB charger and a 3A 5V switching power supply. Same result. I've taken some photos of the boards I've built and uploaded them. On the first board I couldn't find reasonably priced MAN8940s so I used similar ones. I though this might be the problem so I bought MAN8940s and built the second board. I disassembled most of the first board trying to figure out what might be wrong. I'm not proud of the quality of the work but I'm still troubleshooting. I'll clean it up afterwards. I'd appreciate any feedback if anyones got the time to take a look at the photos. I'm not sure but I wouldn't have used so thin wires. Those LEDs drive current and such wires are meant for low current signals. At least supply wires should be more thick. Touch the wires while it's on and see if they get hot and test with a meter if the voltage drops across them. what did you do to get the board to respond. I can't get it to do anything with the serial port. One issue I ran into which might be your case, the icm's are bad, have you tried a different set? To italiandoh: I use thicker wires for the cathode pin on each led. But I also think this might be an issue so I'll try that. The wiki says up to Windows XP is supported but I've used it in Windows 10 64bit and it seems to work. I replaced the kynar wires with thicker ones but I still get the same problem. Testing it reminded me that this is probably not a power issue. When the game is booting up and the display shows the initial stuff everything is just fine. Then when the game and display allow to input coins the problem appears. If onboard, have you tried changing parallel port BIOS settings to see if it helps? Hi italiandoh. Yes I've read the post and I've built (and rebuilt) the cable to those specs. I was motivated to look into this again because of your bios settings suggestion. I noticed that the "flickering" did not happen until after Windows booted. I tried going into safe mode and the "flickering" doesn't happen there either - but also the parallel port doesn't work. Also if I disable the port in the device manager the flickering stops (but then I can't use it in Daphne) and starts again when I enable it. It also doesn't happen as I mentioned when Dragons Lair boots and the initial stuff are displayed on the scoreboard. So I'm pretty certain this is a Windows/drivers issue. This is probably the Windows device autodetection causing this but I've been unable to disable it. It would be useful if I could find out if something is polling the port (Windows, a driver, some software) and kill it. Well, if you already tried with different computers then it is unlikely to be a problem of drivers because they probably won't use the same HW or drivers. So perhaps the problems is either in Windows, or in Daphne and how it handles the writings to the parallel port. But it's just a guess. I think only Matt can say if this could be a possibility. You can try with a very old version of Daphne, if you have it. Or try using daphne on linux. I installed XP on a new PC didnt add any additional drivers and the SB worked just fine. I've yet to find a PCI-E parallel card that works yet due to that port assignment issue. 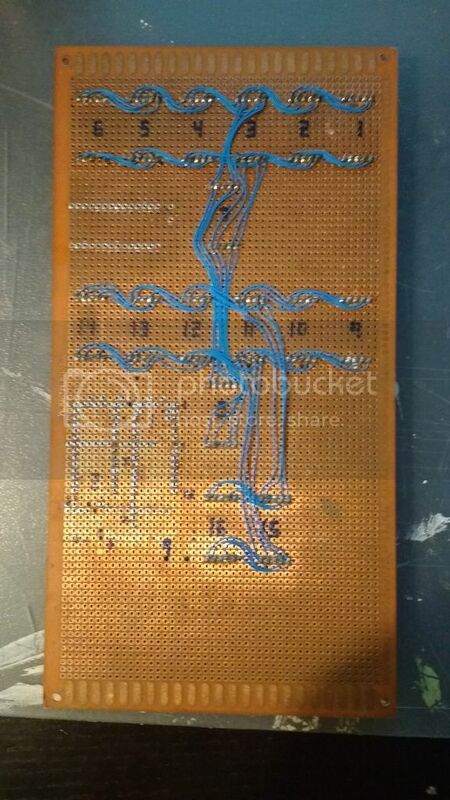 Keep this in mind as well, you may have a faulty board, I've built a few of these boards and most of my issues were not software based but hardware, flickering could mean something isnt getting enough power or you could have a bad cap or resistor. Also where is your 3rd capacitor? First of all apologies for resurrecting this old thread. I just wanted to add that I recently got an Arduino Uno board and I connected the scoreboard to it in order to test it. It worked perfectly, so I can rule out a problem with the scoreboard itself. I'll have to check the computers/software I used. 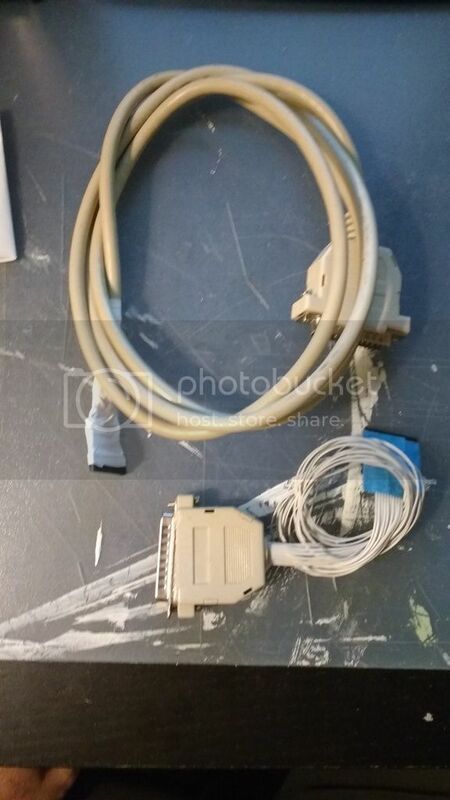 In case anyone is interested, I've found someone online, from Germany (https://www-user.tu-chemnitz.de/~heha/b ... C/USB2LPT/), who has designed and sells USB-To-Parallel Port boards which are recognised and function as full parallel ports. The commersial converters which are commonly available are not full parallel ports. They act as some form of printer emulator and they are not meant to be used as a full printer port. I haven't puchased one because the price with shipping is 20Euros. Btw I can now verify that the voltage divider on pins 9 can be ommited. On the ICM7218D chips there is basically an internal divider inside the chips for the same purpose. 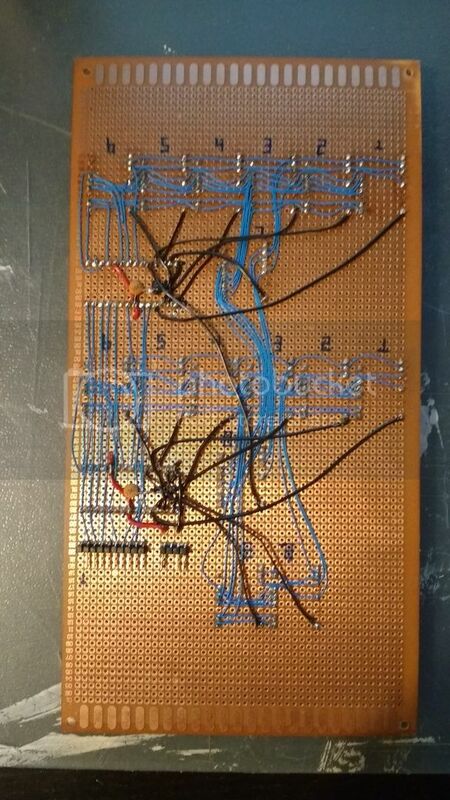 The purpose is to set pin 9 to around half the voltage of 5V which sets the character encoding to "Code B". In case somebody looks for a way to do the same I'll include below the code I used for the Arduino. It only controls one of the chips so you must switch pin 7 to the other chip in order to test it. 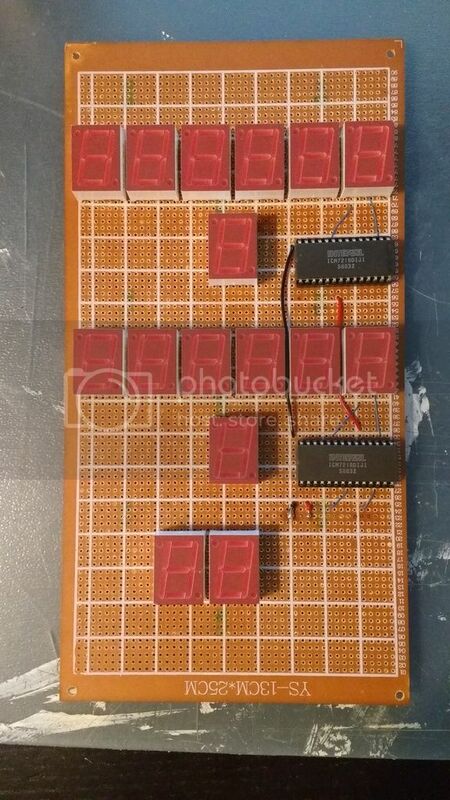 I found online examples for the ICM7218A and B chips but these operate quite differently from the C and D versions of the ICM7218. So I had to make some changes. The code only supports "Code B" encoding.